In today’s society, one in which people read less and watch more, it is more important than ever to have an attractive brand potential clients can recognize anywhere. A consistent visual brand is key to attracting and keeping clients who love to interact with you. 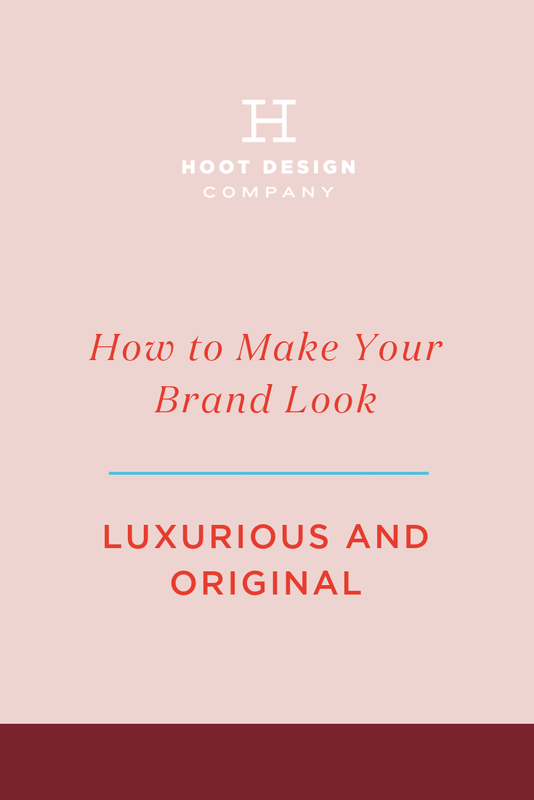 In this post, we’re breaking down the key components of a visual brand, and how they can help you communicate luxury and originality. Your written content is polished and informative, and now you need to make sure you pick the right font to show it off. Colors can be instantly recognizable and give your brand originality. Your potential clients will be able to pick you out from your competitors if you have a unique, consistent color palette. Here are a few rules of thumb when choosing colors. A combination of muted and bright or loud tones can convey luxury. The color contrast creates a harmonious balance but helps your draw in your client’s attention when necessary. For example, this vision board (to the right) balances light and dark colors and textures to create a sleek, luxurious visual brand that’s hard to ignore. For luxurious brands, such as private clubs or resorts, it’s best to stick with one bright or saturated brand color, while the others help support this color and complement it well. For example, you can choose a particular shade of blue as your primary brand color, and use a warmer accent color such as red, orange, or pink to provide contrast. Think twice about using loud and especially vibrant colors as your primary brand color. Cooler tones (such as blues, greens, purples, or grays) give off more of a professional, sophisticated feel. For luxury brands, keep the emphasis on these colors. As the saying goes, “A picture is worth a thousand words.” But for brands, pictures can say millions. Photography is essential to keep your brand fresh and accessible to your dream clients. Avoid photos that are clearly stock images (you know the ones), and use photos that represent your business. The models should look like the type of clients you want to attract, and the colors should complement your brand colors. Your photography should convey your brand goals and mission. When it comes to creating a logo, make sure it’s simple and reflects your brand. Typographic logos—logos that utilize words more than images or design—are usually the way to go with luxurious brands. Your logo should have a clever typographic design unless you already have a specific symbol that represents your brand well. Patterns give your brand a rich texture and visual interest. Design is all about the details, and your clients will instantly recognize your promise of luxury and indulgence when you utilize patterns in your visual brand. A combination of abstract and structured patterns make for an eye-catching visual brand. Abstract patterns are designs that balance shape, line, and color to create a cohesive design. Structured patterns are designs that repeat in the same way each time. Make sure the patterns you use are reflective of your business. If you want to emulate elegance and simplicity, use more structured patterns. If you want to show off your modernity, abstract patterns might be the way to go. When you have decided on your fonts, colors, photography, logo, and patterns, it’s time to put them together into one cohesive brand that spans across media. Make sure each aspect complements the others. Use this visual design on your website, print and digital materials, gifts, or any other medium through which you choose to interact with your clients. Interested in creating your own visual brand? Check out our Brand Package to get started.